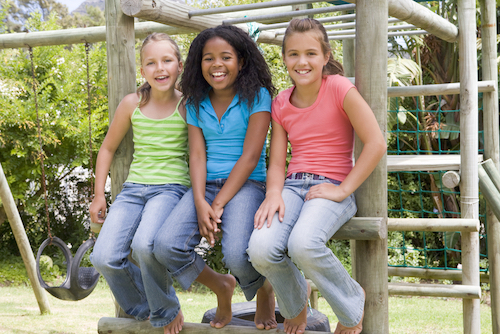 Are you looking for great Cape Town Kids Activities for the upcoming autumn school holidays? 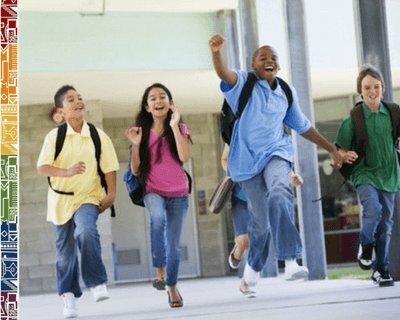 South Africa's autumn holidays are here as (most) schools all over South Africa are on holiday break from 16 March 2019 until 1 April 2019. Be aware that private schools might have different holiday times and opening dates, some schools already break up earlier or later! So make sure to check your children's school calendar and check common official closure times here. On ExpatCapeTown, you will find here some great Cape Town kids activities to keep you little ones and your teenagers busy and happy when spending the school holidays in Mother City this autumn. There are loads of Cape Town kids activities on offer in and around the Mother City besides the usual great attractions like going to Two Oceans aquarium at the V&A Waterfront, visiting the Bird Park in Hout Bay or swimming with the African Penguins in Simonstown or the many fabulous Cape Town museums where your kids will be entertained and where your children will gain also some wonderful new insights or can test their talents. Or you might want to give them some play time and have some hours for yourself. And if are in Cape Town 'only' for a holiday? Then you might be happy to have a day to yourself for visiting some of Cape Town's best attractions without having the kids moan. 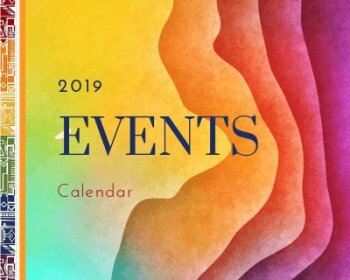 There are many fun events planned! Simply enjoy your Cape Town shopping without feeling guilty, because your kids will have a great time mingling with other kids and making new friends. Here are some of the best kids activities you can find in Cape Town. • Cape Town, Woodstock: Edro Robotics Workshops. 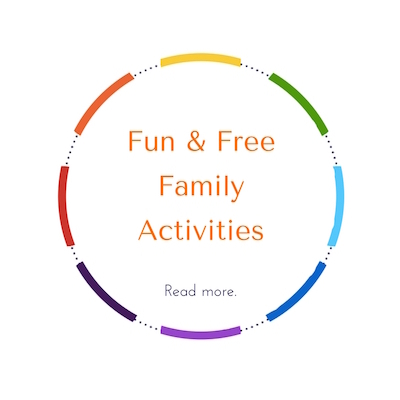 School Holiday activities for kids of three age groups (from Grade 1-3, 4-6 and 7-10). One-day and two-day workshops in robotics and coding for kids, juniors and teens. Costs: from R400 up to R950 per course. More info. • Cape Town, Woodstock: Science Centre. School Holiday activities. 15 March - 1 April 2019. For kids of various age groups. Sports Science shows, science skills competitions, sports tournament and much more. More info. • Cape Town, Claremont: School of Rock. 27 - 29 March 2019. Music camps and workshops for preschoolers, kids and teens. Costs: From R1,080 - R1,440 per course. More info. • Cape Town, Paarden Island: CityRock. Climbing lessons and workshops for kids and teens (5-14 years). Cost per 6hrs course: R650, course taught over three days. More info. • Cape Town, CBD: Shows at the Iziko Planetarium. Various programmes. Autumn school holiday screenings. Cost: From R30. More here. Find the Programme here. • Cape Town, CBD: Iziko Museums. School Holiday shows at the Planetarium go with weekend schedule. Various age groups. And do not forget the open day at Iziko museums with free entry on public holidays, such as Human Rights Day on 21 March 2019. More info. • Cape Town, Grand West: Iceskating and Disco Night Fever on Ice at the Ice Station. School Holidays with many extra public skating sessions. Costs: Regular entrance fees apply. From R35 (skate rental extra from R40) Mini ice rink for children under five. Friday 29 March 2019. CCFM Youth Night at the Icerink. Costs: R60 incl. skates & drink. More info. • Cape Town, Grand West: Magic Bowling. 12 lanes of Ten-pin bowling fun. Costs: Regular entrance fees apply. •	Cape Town, Muizenberg: Playtime at Planet Kids. 16 March - 1 April 2019. Great place for kids and drop-off from 2 years. Playtime from R40 per hour. Popular party venue. More info. •	Cape Town, Tokai: Felt Workshops and Artist Lead Workshops. At the Norval Foundation. Various programmes in March 2019. More info. • Please take note: Cape Town, Century City: Ratanga Junction Fun Park has closed down. •	Cape Town: Downhill Adventures Autumn 2019. Adventure activities with action packed adventure programs, half and full-day kids party adventures and day trips. How about taking the kids for sand boarding, stand-up paddling or surfing lessons in Cape Town this holiday or have a fun day with a quad biking and sand boarding combo in the Atlantis dunes, just north of Cape Town? More info. •	Cape Town, various suburbs: Sporting Chance: Cricket, Soccer, Hockey and Multisport Workshops. Sports Clinics are held on various dates in Bellville, Constantia and Newlands during the autumn school holidays for children from ages 6 - 13. Rates: R200/morning session, depending on sports activity and age of the child. Enquire directly and please mention you heard from us. More info. •	Cape Town, Newlands: Helen O'Grady Drama Academy. Drama Classes for children from ages 5 - 18 years. Enquire with the academy about your nearest branch and book your holiday programme now! More info. • Cape Town, Kirstenbosch: Open Air Cinema: Rio. 20 March 2019 at Kirstenbosch Botanical Gardens. Tickets: From R89. More info. • Cape Town, Artscape Theatre: The Tale of Peter Rabbit. 21 - 30 March 2019. Much loved children's story - for the whole family. Tickets: From R90. More info. • Cape Town, Newlands: Pinocchio. 25 - 30 March 2019. Popular children's show comes to Cape Town's Nassau Theatre. Tickets: R85. More info. • Cape Town, Century City: Toy Kingdom Boot Camp. 15 March - 1 April 2019. School holiday boot camp. At Canal Walk shopping centre. More info. • Cape Town, Northern Suburbs: Discover Space. 15 - 31 March 2019. At Capegate Shopping centre. More info. • Somerset West: Wonder Park. 27 March 2019 at Somerset Mall. Adventure Park fun for the little ones. Enjoy the movies and a variety of activities. More info. • Stellenbosch: Open Air Cinema: Mamma Mia. 30 March 2019 at Muldersvlei Estate. Tickets: From R89. More info. • Cape Town, Artscape Theatre: Back to Futuria. 30 March 2019. Futuristic fairy tale, with Belly Dancing. Tickets: R120. More info. 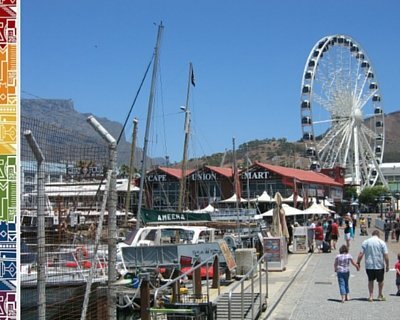 • Cape Town, V&A Waterfront: Springbok Museum - Open Days. Until 30 March 2019. Make sure to visit the Springbok Experience Rugby Museum before the museum closes in April. Portswood House. Open 10h00 - 18h00 every day. More info. • Cape Town, V&A Waterfront: Fairy House Building. 21 March 2019. At the Chavonnes Battery Museum. Tickets: R320. More info. • Cape Town, V&A Waterfront: Beat Sampras. 22 March 2019. Battery Park Sunset Series. More info. • Cape Town, V&A Waterfront: Open Air Cinema: Julie& Julia. 29 March 2019 at Battery Park. Tickets: From R89. More info. • Cape Town, V&A Waterfront: PlayDate Super Park. Throughout the school holidays. At the Jubilee Hall, Watershed. More info. • Cape Town, V&A Waterfront: Art Jamming Holiday Programme. Various dates for paint and art sessions and different age groups. More info. Kids-Activities page - disclaimer: All dates, times and prices are subject to availability and can change. Call the event organizers if you have any questions and check for exact costs and times. Booking for most of these Cape Town kids activities and events is essential. There is also great Cape Town kids activities and entertainment offered by the bigger shopping centers in Cape Town during school holiday times. In many Cape Town shopping malls you can leave your kids in a supervised area where they can enjoy painting, clay art, pantomime classes and many other great activities. Check for events in the best Cape Town shopping centers here. Wishing you a fantastic time in Cape Town. 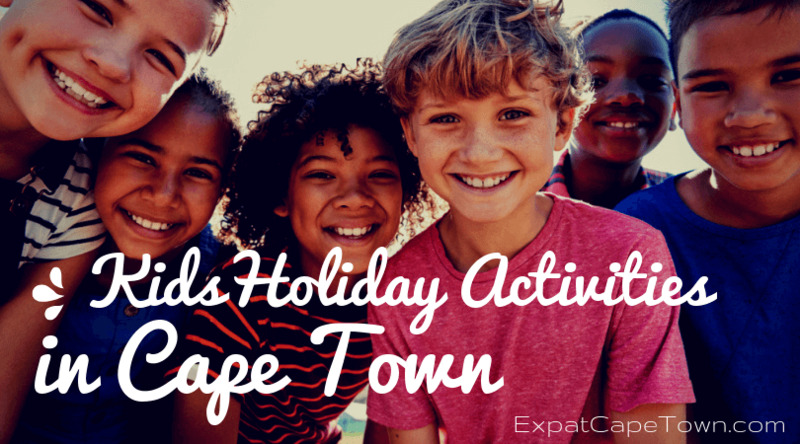 Make sure to let us know about your experiences when you explore some of these fantastic Cape Town kids activities and excellent Cape Town holiday clubs and workshops. Best!